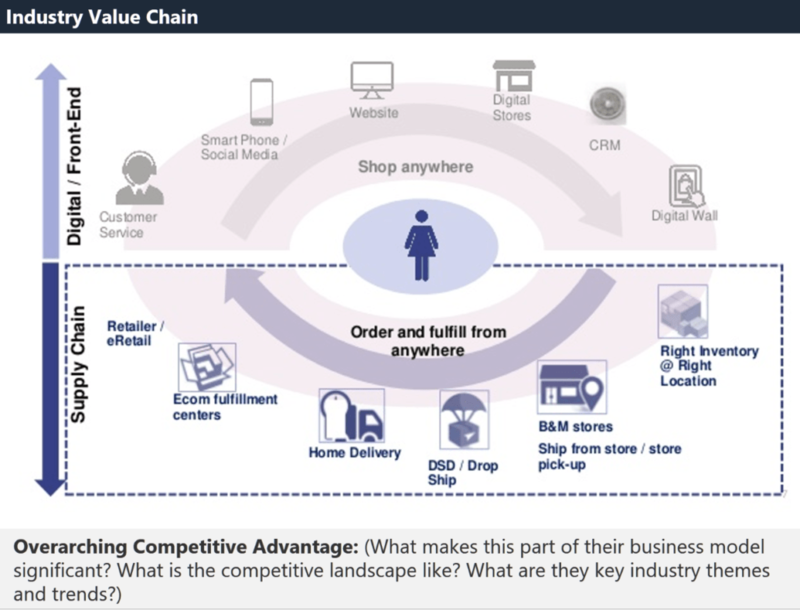 Every company’s business model is unique, and their execution of key activities is how a company derives its competitive advantageCompetitive AdvantageA competitive advantage is an attribute that allows a company to outperform its competitors. Competitive advantages allow a company to achieve. It is imperative that an investment bankerWhat do Investment Bankers do?What do Investment Bankers do? Investment bankers can work 100 hours a week performing research, financial modeling & building presentations. Although it features some of the most coveted and financially rewarding positions in the banking industry, investment banking is also one of the most challenging and difficult career paths, Guide to IB gains a strong understanding of the business, how it generates a competitive advantage and most importantly, how to frame all of these in a way that makes the company look as attractive as possible. To analyze the business model, it is valuable to consider the company’s position in the industry value chain. Is the company further upstream, providing value to other companies that are customer facing? Or is the company further downstream, providing value to customers? What are the key activities that the company performs as part of their business strategyCorporate StrategyCorporate Strategy focuses on how to manage resources, risk and return across a firm, as opposed to looking at competitive advantages in business strategy? Once we understand the company’s role in the industry that it operates in, we will achieve a clearer understanding of what potential opportunities exist that can create further value for the company. Two key concepts to consider are horizontal integration and vertical integrationVertical IntegrationA vertical integration is when a firm extends its operations within its value chain. It means that a vertically integrated company will bring in previously. A company may be interested in vertical integration if we find that the company’s suppliers are squeezing them too hard, or if certain distribution channels are causing sales friction. A company may be interested in horizontal integration if they find that an emerging competitor is a significant threat, or if there are significant synergies to be found in companies that operate in the same lines of business. Any M&A transaction that your bank pitches will be derived from this type of analysis. Demonstrating a strong understanding of the company’s business model is critical in gaining the trust of the management team and ultimately winning the bid to be the bookrunner on a transaction. 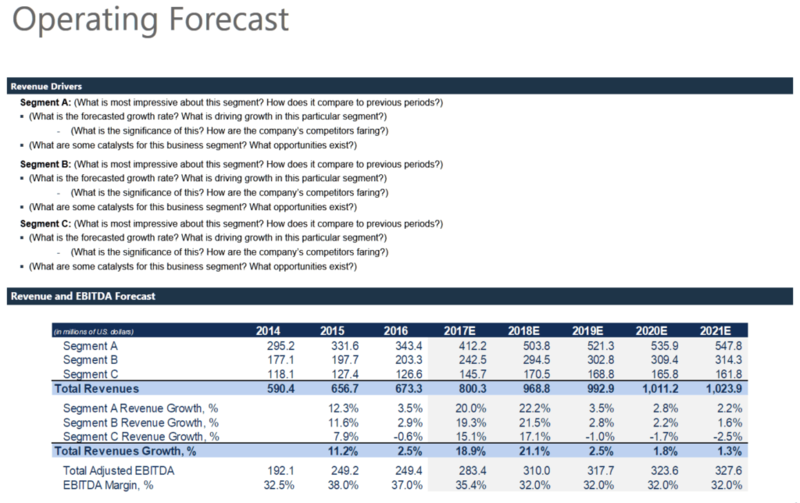 When we think about a company’s financial model, we know that revenue drivers are the first step in determining the rest of the forecasted financials. Therefore, a strong understanding of the business model implies a strong understanding of the company’s operating drivers. To use an example, Netflix operates three segments: International Subscribers, Domestic Subscribers, and Domestic DVD. The company owes its overall growth in recent years to its international subscription segment, while their domestic DVD rental service is in structural decline. It would make sense for an investment bank to pitch a horizontal integration of international content instead of vertically integrating their DVD business. The operations of a company will depend on key metrics and drivers. These drivers may be simple (i.e. growth rate, unit x volume, etc.) or they may be more complicated (i.e. backlog, ASM, natural resource models). Furthermore, cost drivers may be used as well. Essentially, we want to highlight what the company can expect regarding their profitability going forward and where the major opportunities lie. There are key implications to consider when we look at the ownership breakdown of the company. The main implications include majority shareholders, institutional versus retail ownership and insider ownership. If there is any majority shareholder ownership, the motivations of a majority shareholder must be addressed prior to pursuing transactions. For example, if a majority shareholder happens to be highly conservative, but the management decides to pursue a risky transformative transaction, this opens up the risk of shareholder activism. It is critical to consider the interests of any majority shareholder prior to acting on a transaction opportunity. The breakdown of institutional versus retail ownership is important when considering transaction opportunities. Institutional shareholders may hold shares of the company based on a particular investing style, and M&A transactions can significantly affect the ownership base, especially if the transaction offers the potential to significantly shift company fundamentals. Furthermore, the growing trend of ETF investing can influence the company’s ETF rebalancing and stock performance. 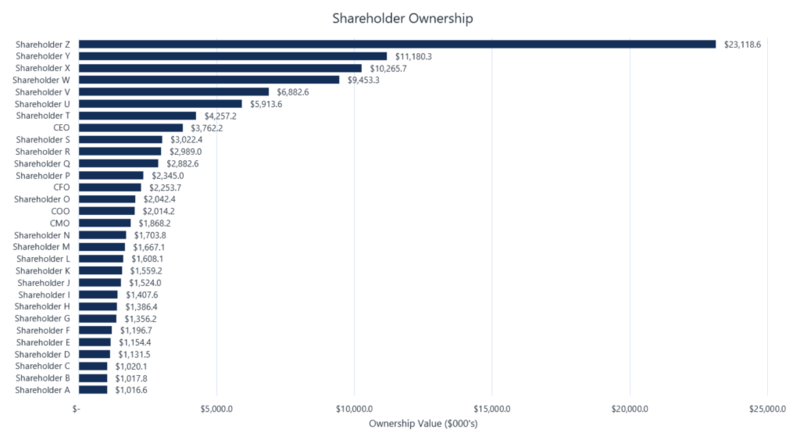 Insider share ownership can also influence the company’s stock, specifically regarding trading liquidity and voting rights. In terms of liquidity, the difference between the float amount compared to the total shares outstanding could be stagnant shares held by company insiders. A high proportion of insider ownership may restrict the overall trading liquidity and float turnover of the stock. Furthermore, company insiders may retain the voting rights of a company, which gives insiders complete control of proxies.